It's an election season gone wild in this "irresistible" (Cosmopolitan) and "whip-smart" (Us Weekly) novel about a delicious cast of characters who forge an unlikely friendship while their significant others are out on the campaign trail.Cady Davenport is living the American dream...At least she's supposed to be. She's in a new city, with a new job and even a new fianc . 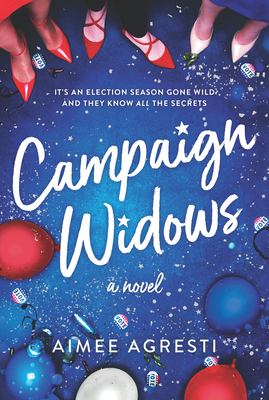 But when her husband-to-be hits the road for the upcoming presidential election, Cady realizes she's on her own--and that her dream life might not be all she'd imagined.Until she finds herself thrust straight into the heart of the most influential inner circle in Washington, DC: the campaign widows. As friends, they're an unlikely group--a fabulous Georgetown doyenne; a speechwriter turned mommy blogger; an artsy website editor; and a First Lady Hopeful who's not convinced she wants the job. But they share one undeniable bond: their spouses are all out on the trail during a hotly contested election season.Cady is unsure of her place in their illustrious group, but with the pressures of the unprecedented election mounting, the widows' worlds keep turning--faster than ever--as they hold down the fort while running companies, raising babies, racking up page views and even reinventing themselves. And their friendship might be just what Cady needs to find the strength to pursue her own happiness.